Following the spectacular success of the inaugural Teenage Mutant Ninja Turtles movie the only thing that could have prevented a follow-up was the apocalypse. 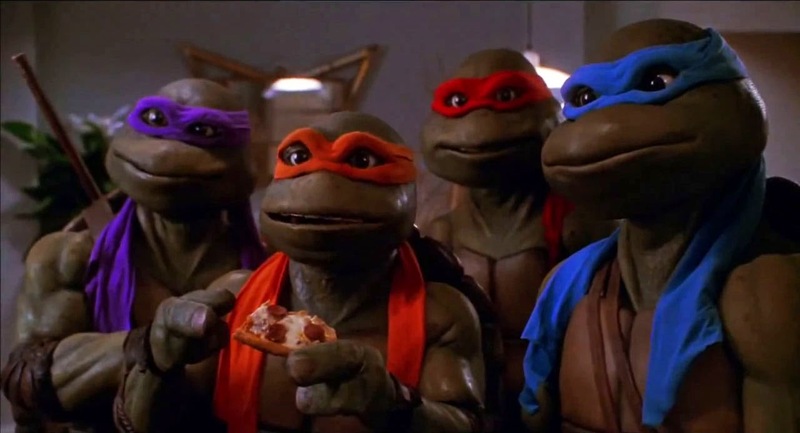 There was much more money to be mined from Turtlemania, by golly, and New Line Cinema and Golden Harvest were understandably eager to milk Eastman and Laird’s fantastical creations for all they were worth. Fast-tracked to open slightly less than a year after the first, the $25-million-budgeted second picture saw a major overhaul of the cast and behind-the-scenes crew – notably actors Elias Koteas, Judith Hoag and Corey Feldman, director Steve Barron, co-writer Bobby Herbeck and editor Sally Menke – and, in response to backlash over the violence and edginess of the original, was envisioned as a lighter, goofier adventure more reminiscent of the animated syndicated series. The censors and parents groups may not have won the battle of 1990, but they were certainly going to win the war. 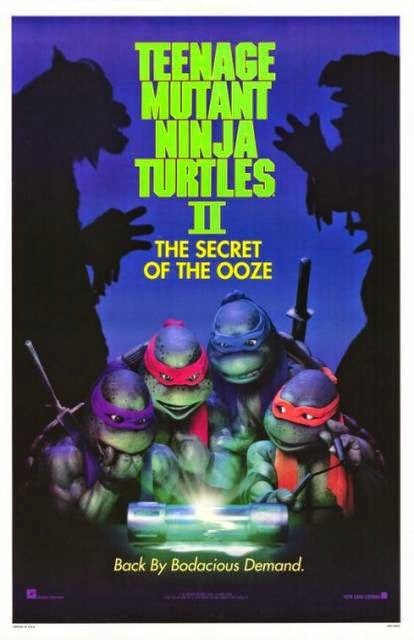 The resulting effort, Teenage Mutant Ninja Turtles II: The Secret of the Ooze, was a respectable hit when it opened March 22, 1991, eventually bringing in $78-mill at the domestic box-office. While a noticeable decrease in ticket sales from the characters’ cinematic debut, it’s crucial to remember that these were still the days when the law of diminishing returns was a common reality for franchises, as audiences, and frequently creative ambition, dropped off with each successive instalment (that said, James Cameron’s Terminator 2: Judgment Day would arrive just four months later and lay waste to summer movie competition; an omen of the blockbuster business model of future days to come). So, even if the telltale warning signs that Turtle Fever was beginning to break were obvious, the sheer volume of cash generated by tie-in merchandise and ancillary profits no doubt had the studio’s money men as giddy as the series’ enthusiastic young fans. Picking up mere hours after the radical reptiles victoriously celebrated to the pulsing beat of Spunkadelic’s insanely infectious “9.95,” Secret of the Ooze sees Leonardo (Mark Caso, voice by Brian Tochi), Michelangelo (Michelan Sisti, voice by Robbie Rist), Donatello (Leif Tilden, voice by Adam Carl), Raphael (Kenn Scott, voice by Laurie Faso) and Splinter (Kevin Clash) without a home, seeking refuge in the comfortable domicile of their trusted TV news reporter friend, April O’Neil (Paige Turco). Tranquility doesn’t last long, however, as the Shredder (Francois Chau, voice by David McCharen) climbs out of the city garbage dump and sets about seeking vengeance. Reassembling the deadly Foot Clan, the vicious villain and his grunting sidekick Tatsu (Toshishiro Obata, voice by Michael McConnohie) fix their sights on TGRI, a local scientific corporation in the midst of a massive environmental clean-up effort, stealing a glowing canister of the same neon green goo that created our heroes 15 year prior. 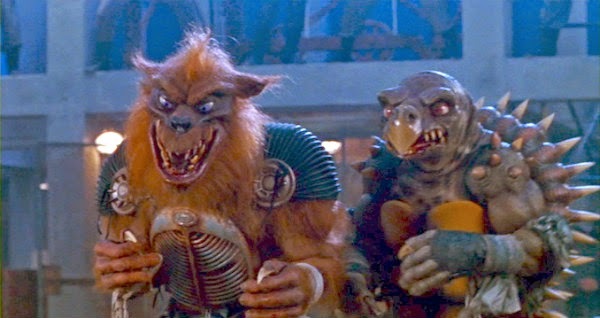 Soon, two more mutants - snapping turtle Tokka (Kurt Bryant, voice by Frank Welker) and wolf Rahzar (Mark Ginther, voice also by Frank Welker) - are tearing up the city and it’s up to the squabbling bro’s, alongside new friends Professor Jordan Perry (David Warner) and pizza delivery boy Keno (Ernie Reyes Jr., promoted up from Donatello stunt double) to win the day. Again. Compared to the Turtles’ genuinely engaging introductory chapter, which thrived on its basic comic-book storytelling, tight character dynamics, catchy best-selling soundtrack and bouncy energy, Secret of the Ooze is a pretty significant disappointment and, beyond the still effective Jim Henson Creature Shop work, doesn’t really hold up at all anymore. Exhibiting a crippling case of Sequelitis, shamelessly rehashing story beats (Raph storms off and is captured again!) and jokes (“I made another funny!”) to minimized effect, and slackly directed by Michael Pressman (the auteur behind The Bad News Bears In Breaking Training, making his return to the (sorta) big leagues after a near decade-long stint in TV), Teenage Mutant Ninja Turtles II is a mostly empty experience, long on slapstick action and cornball jokes, yet short on thrills, visual oomph, imagination or narrative coherence. It’s the kind of opportunistic, poorly constructed “product” that the 1990 picture fought not to be, talking down to its kid target market – there are literally two scenes where the Turtles’ origin is recited – and offering absolutely nothing for their parents to engage with. Remember Casey Jones and April’s playful romantic back-and-forth sessions? Nothing like that here. The adult characters are pretty much MIA this time around, with the exception of Professor Perry, who isn’t so much a character as an exposition robot. Too bad the flirted-with-but-abandoned plot-twist that he had a Krang-like Utrom alien living in his abdomen never came to fruition. That would have at least made him interesting. There’s no shortage of evidence proving that entertainment intended for children can be smart, innovative, dazzling and bold. Secret of the Ooze is none of those things. The comedic, weapon-free fight scenes – modelled on the Three Stooges, who are paid homage – slingshot between harmlessly watchable to awkwardly shoddy. It’s impossible to watch the woefully flat sequence in which the Turtles and the Foot play Keep-Away with a chemical canister in Perry’s office (a really cheap-looking set), surfing on chairs and engaging in acrobatic combat, and not feel a little sad for all involved. And what about that climactic mêlée in the oh-so-square sounding Dockshore Club? In any other movie, a scene where your main baddie gets blown out the window by a keytar would be jarring. Here, it seems like a logical progression. 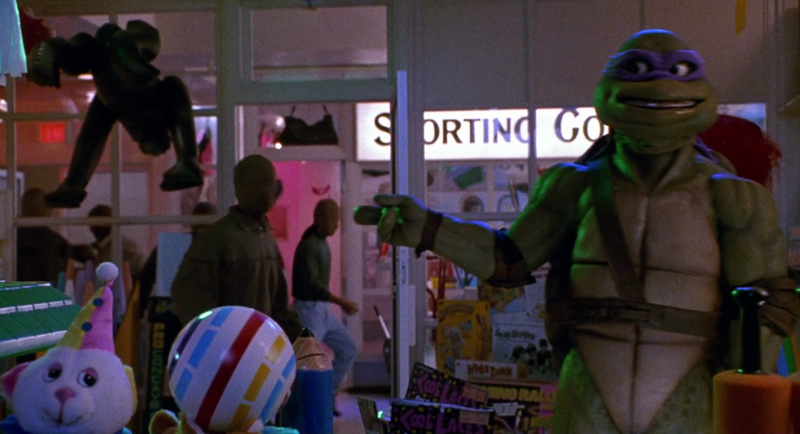 A big part of the problem with Teenage Mutant Ninja Turtles II is the utter lack of danger. Competent filmmakers can communicate stakes and the severity of an antagonist’s threat no matter the tone, genre or intended audience. Pressman ain’t the guy to try. Tokkah and Rahzar (who looks like the towering Muppet Sweetums) needn’t necessarily be made terrifying or hyper-aggressive to appear as formidable adversaries. Perhaps a touch of weird Universal Monsters otherness, or a display of destructive powers more impressive than a couple toppled telephone poles would have helped. Frankly, the creative team needed to justify the exclusion of beloved troublemakers Rocksteady and Bebop - who Eastman and Laird allegedly vetoed despite studio wishes – for these new heavies, and they sure don’t try very hard to do so. Yes, the well-known “Mama!” moment is cute and playfully undercuts the tension of the scene. Problem is, once that tension is dispelled it doesn’t ever return. Hence, their defeat in act three becomes a campy afterthought, not a true test of courage and ingenuity. Most of the problems plaguing Secret of the Ooze can be traced to the screenplay, by returning scribe Todd W. Langen, which often makes no sense. 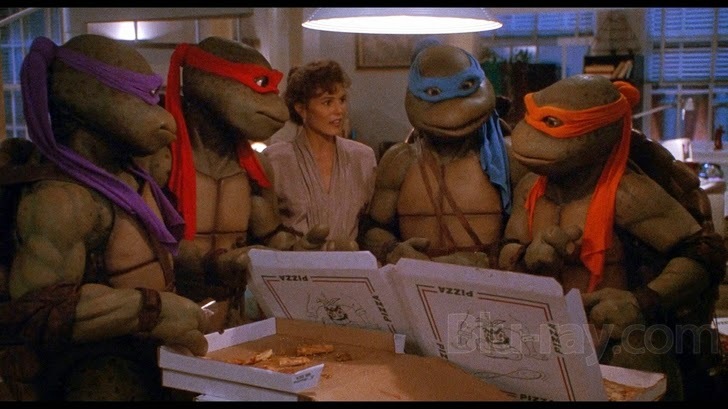 We’re told it’s been 24 hours since the Shredder swan-dived into that fateful garbage truck, yet the Turtles behave like they’ve been going stir-crazy at April’s place for quite a while, and there are huge stacks of pizza boxes everywhere. Did they rescue Keno from thieves mere hours after barely surviving a grueling run-in with their arch-nemesis and his army of thugs? Over on the bad guy side, Shredder, upon reemergence, shoots down the idea of rebuilding the Foot in favor of revenge (okay…), only to hold tryouts for new recruits a short while later (maybe Tatsu is really the brains behind this operation). He also determines April is the key and has embedded a particularly problematic character named Freddy (Mark Doerr) in her news crew. When did he do this exactly? During the first flick? How long has he been there?! April appears to know him fairly well, after all. Whatever becomes of this mysterious figure? He just disappears after giving April a stern message. Should we assume he was beaten up with the rest of his gang in the climax? Forget the secret of the ooze, tell us the secret of Freddy instead! This shambling script-level incompetence carries over to the characters, as well. Previously, Raphael had an emotional journey, with a recognizable start and end. In Part II there are no character arcs to speak of! Ostensibly this is Donatello’s time to shine – he’s the one eager to explore their origin and plays a key role in the science stuff – though no attempt is made to develop his personality. Around the mid-point he expresses to Splinter his frustration that their birth was an accident. The wise rat sensei offers up a brief, tired fortune cookie saying and the scene ends, never to be referenced again. As for the other three, they now act out their single traits to occasionally annoying extremes (Leonardo is noticeably much whinier). As for Keno, he serves little function, outside of a sadly wasted subplot where he sneaks into the Foot’s base with Raphael, and then runs away. Reyes Jr. is a gifted martial artist and a lousy actor, popping in and out of the story to little fanfare when convenient, with minimal dialogue. Casey Jones, he is not. Even his exit is halfhearted, marked by Michelangelo quickly yelling “later, Keno dude!” over his shoulder while walking out the door to take on Shredder. Which, come to think of it, is still a more impressive send off than anything ol’ Professor Perry receives. 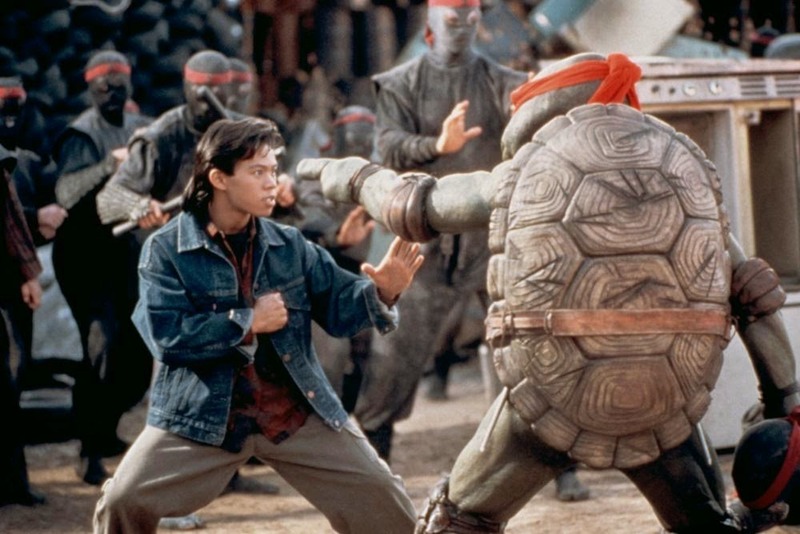 Most Tubular Takedown: Leonardo’s swords-in-the-ceiling kick is pretty great, but Donatello wins the movie with his sweet multi-kick/sommersault/head-kick combo during the Dockshore Club scuffle. Pizzas Consumed: By the Turtles: 3. However, 19 slices are eaten by various New Yorkers during the opening credits. Uncomfortable Adult Humor: Keno, shot down by a girl who tells him to “dream on, dweeb,” snarks back “Okay, and when I do I'll dream of someone a little thinner.” Keep it classy, kid.